"Dark ruby. Concentrated dark berry and licorice scents are energized by zesty minerals and complicated by suggestions of smoked meat and peppery spices. Broad and chewy on the palate, offering warm bitter cherry and blueberry flavors and a bitter herbal quality. Gains brightness with air and finishes long and floral; dusty tannins add grip." 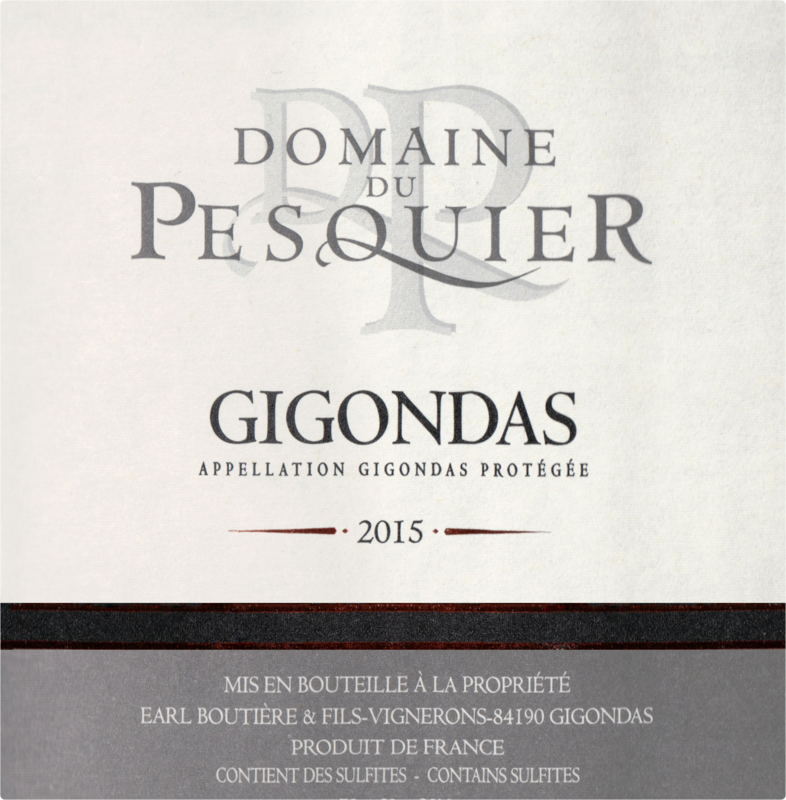 "The Pesquier Gigondas is the standard-bearer of the domaine. Three-quarters of their vineyard holdings are in some of the most prized sub-regions of the appellation, including nearly 8 acres in the Dentelles de Montmirail mountains. 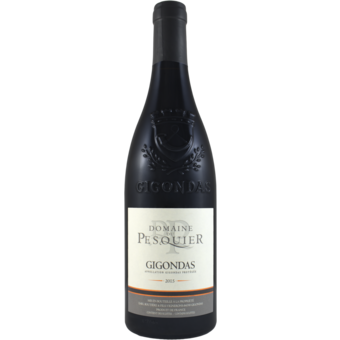 Considered the best area for Gigondas grapes, the soils are a mix of stone and red clay. The wine is a blend of 75% Grenache, 20% Syrah and 5% Mourvèdre. The grapes are harvested by hand and then undergo a long, gentle vinification with indigenous yeasts. After the grapes are slightly crushed (they now leave one cuve of whole clusters) they undergo a 3 day cold soak, followed by alcoholic fermentation, at a relatively cool 85 degrees, for 4 weeks. During this time, the wines go through a process called délestage, which replaces remontage for a better and gentler extraction. The juice is emptied from the cuve while the dry marc warms up; as it continues to ferment, polyphénols are set free. The juice is then replaced from above. Like making Italian coffee the juice infuses the must. This long process builds greater complexity in the wines and rounds out the tannins. The wines are then moved to cement vats for about 6 months where they undergo malolactic fermentation. Finally the wines are left to rest in large casks (foudres) for 12 months and are bottled unfined and unfiltered, just before harvest.